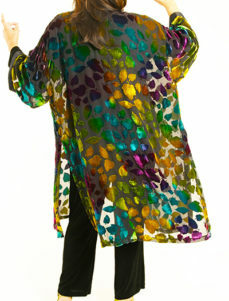 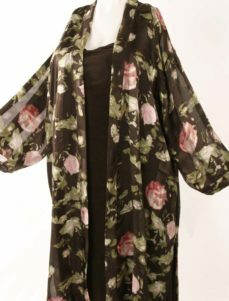 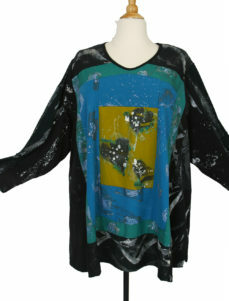 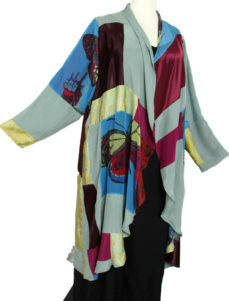 A contemporary classic Kimono Jacket in our Size S (18/20). 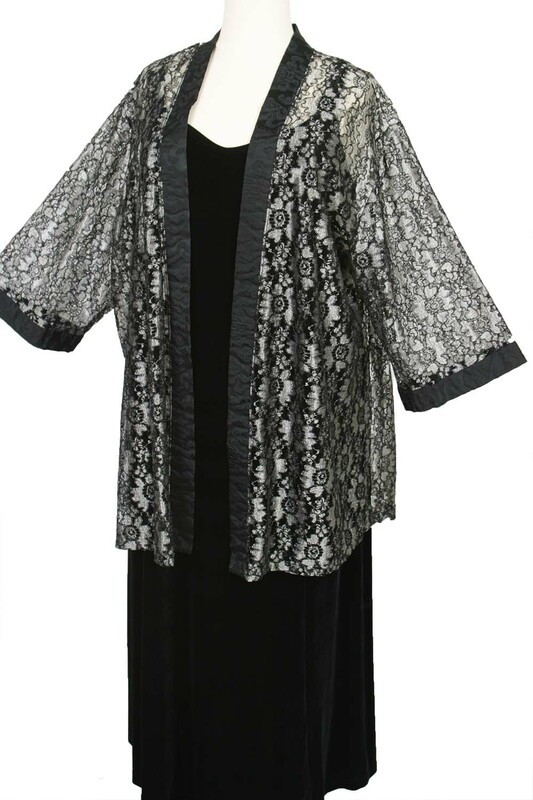 Contact us to order this jacket made-to-order in other sizes. 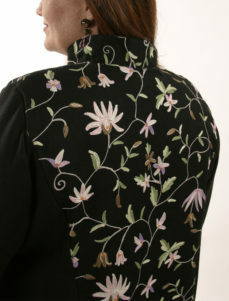 Consult with us for questions and ideas and meeting your deadline. 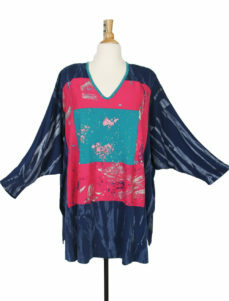 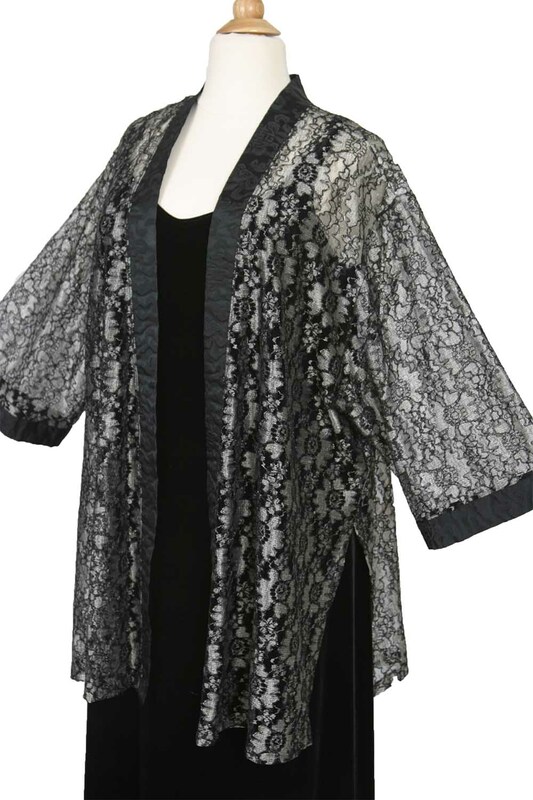 We are plus-size special occasion specialists! 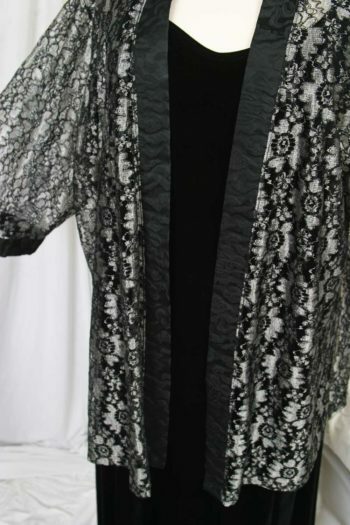 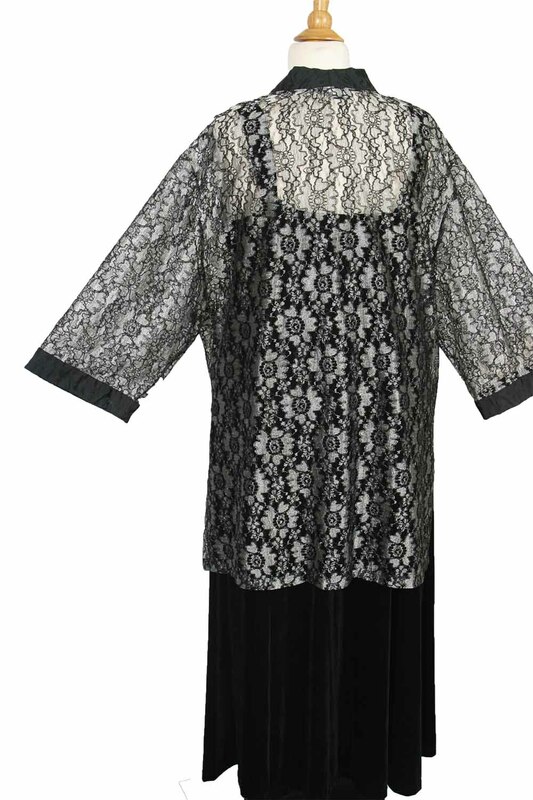 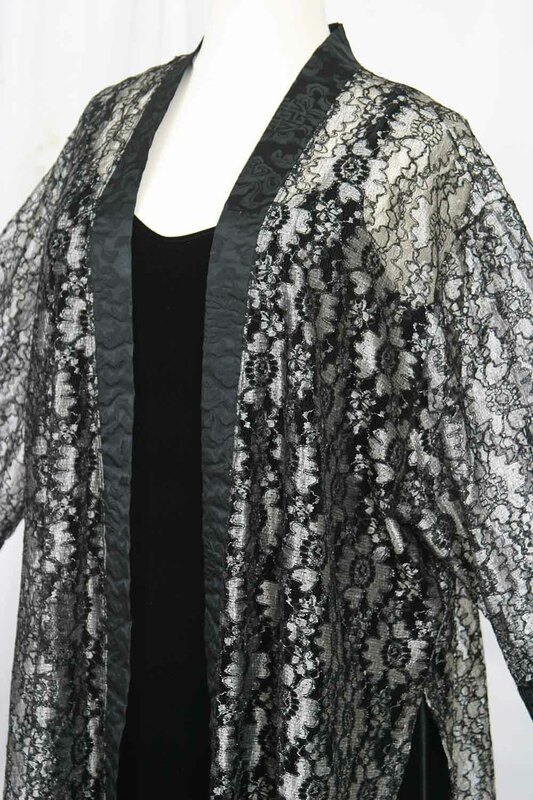 Be the first to review “Mother of Bride Kimono Jacket Metallic Lace Silver Grey Black Sizes 14 – 36” Click here to cancel reply.